: The 1st edition of the Oxford English Dictionary. All words from Shakespeare’s texts and many other older words are included here and may not be found in the 2nd edition. 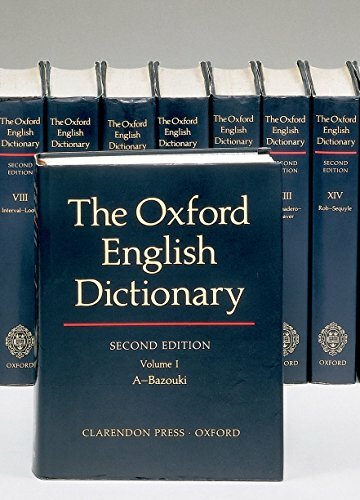 The third edition is available online as Oxford English Dictionary. The 2nd edition of the classic dictionary. 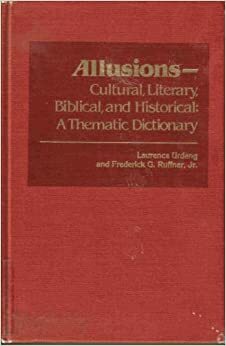 An unsurpassed guide to the meaning, history, and pronunciation of over half a million words, both present and past.
. 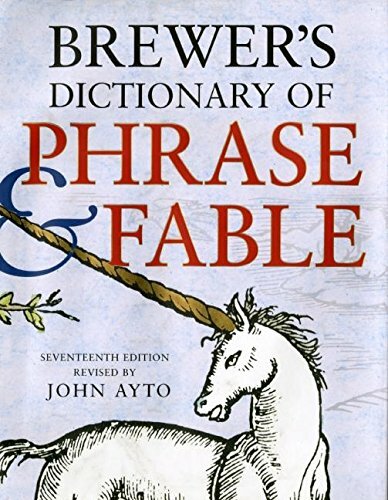 This resource is valuable for its concise explanation of the origins of colloquial words and phrases, biological and mythical references, and fictitious characters, titles, etc. Consists chiefly of subject entries, "defining the classical myths or stories attached to the characters or event" and citing original sources. Also includes "Index of poets, poems and references."